I have always been thirsty for words. My mom says that I taught myself to read before I even started kindergarten. If I'm not reading something, I'm either busy or in a mood. 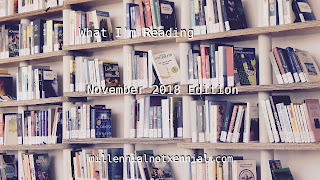 And I don't know that I will do this every month, but I do want to share what I'm reading this month. I'm kind of just always re-reading Things I Can't Explain. The one thing that was really hard for me to get over was that as a kid, I was 7 years younger than Clarissa, but when this book came out, I was 7 years older. But I watched Clarissa Explains It All as a child, wishing I could grow up to be just as cool as Clarissa - and then she grew up to be just like me. Unemployed, not knowing how to tell your parents how bad everything really is - okay, my brother was never in prison. I'm just in awe that you can grow up wanting to be just like someone, and then finding out as an adult that you are not that different from them at all. I'm obsessed with magic and Neil Patrick Harris, so when I heard he was writing a book series that featured magic, I was like, yes please. There's two in the series right now, but I'm still working on the first one. It reminds me of A Series of Unfortunate Events if ASoUE had any optimism. Also, it's a middle grade book that just effortlessly has a loving gay couple raising a child together. These kinds of books didn't really exist when I was a kid, so I'm in awe that they do now. I'm just falling in love with the series. Back in 2008, when I muttered to myself that I had read all the books, I corrected myself. "That is inherently untrue," I said to myself. "You have watched a lot of movies and TV shows that you have not read the source material to." So there, in 2008, I made a vow to read every movie and TV show I watched. Fast forward to 2018, when Legally Blonde is a free movie on YouTube, and I notice for the first time ever that it was based on a novel. "Well," I said, "I have to read that." I immediately bought it and I'm about halfway through the book. I'm still unsure which I like better, the book or the movie - but there are some very clear differences. 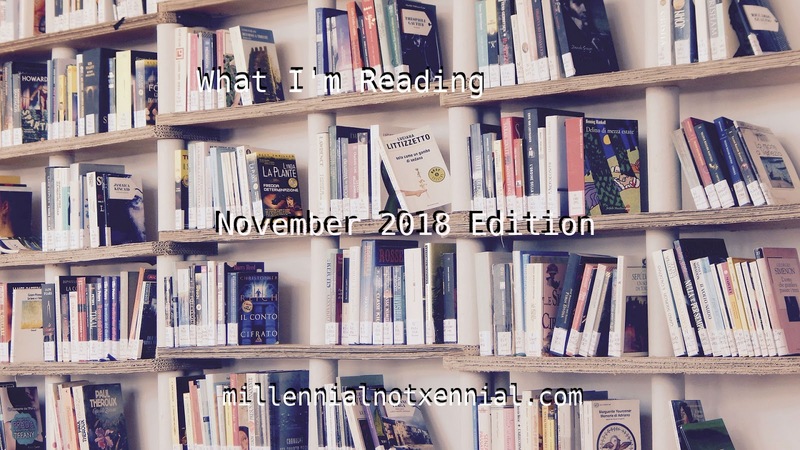 Are you readers? What are you currently reading? Let me know!